We are proud of our history and pay homage to those who founded CUTR and contributed to our success. 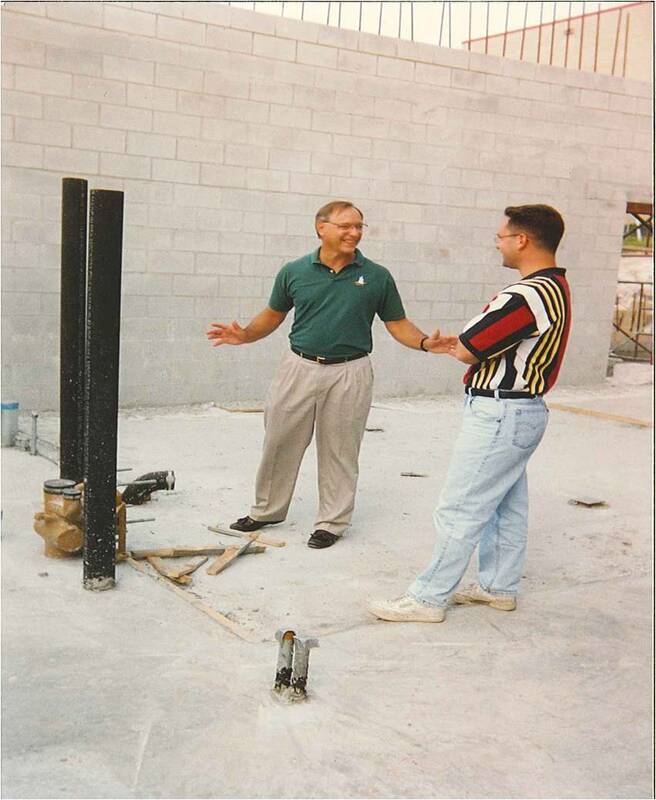 CUTR was established by the Florida Legislature in 1988 as a result of the efforts of administrators of the USF College of Engineering and Senator Malcolm Beard, who served for 10 years as Chair of the Florida Senate Transportation Committee. 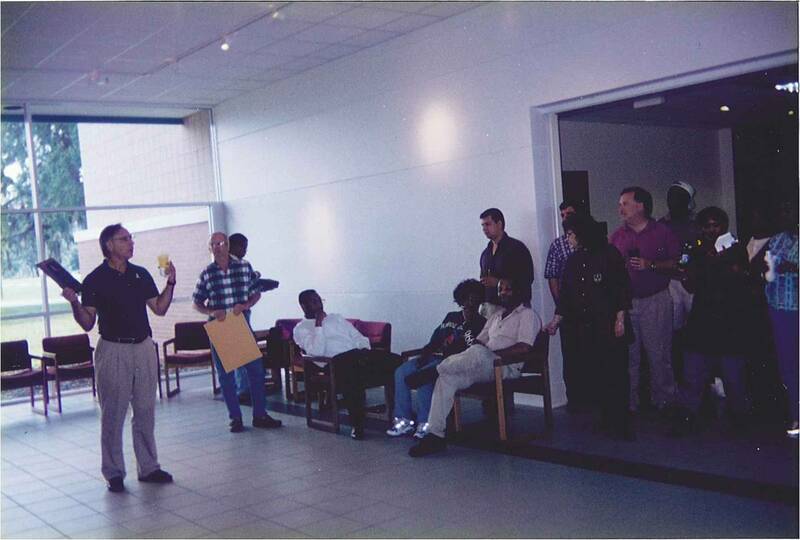 (1) There is established at the University of South Florida the Florida Center for Urban Transportation Research, to be administered by the Board of Governors of the State University System. The responsibilities of the center include, but are not limited to, conducting and facilitating research on issues related to urban transportation problems in this state and serving as an information exchange and depository for the most current information pertaining to urban transportation and related issues. (2) The center shall be a continuing resource for the Legislature, the Department of Transportation, local governments, the nation’s metropolitan regions, and the private sector in the area of urban transportation and related research and shall generate support in addition to its state-funded base of support provided by s. 206.606. The center shall promote intercampus transportation and related research activities among Florida’s universities in order to enhance the ability of these universities to attract federal and private sector funding for transportation and related research. (3) An advisory board shall be created to periodically and objectively review and advise the center concerning its research program. Except for projects mandated by law, state-funded base projects shall not be undertaken without approval of the advisory board. The membership of the board shall consist of nine experts in transportation-related areas, including the secretaries of the Florida Departments of Transportation and Environmental Protection, the executive director of the Department of Economic Opportunity, or their designees, and a member of the Florida Transportation Commission. 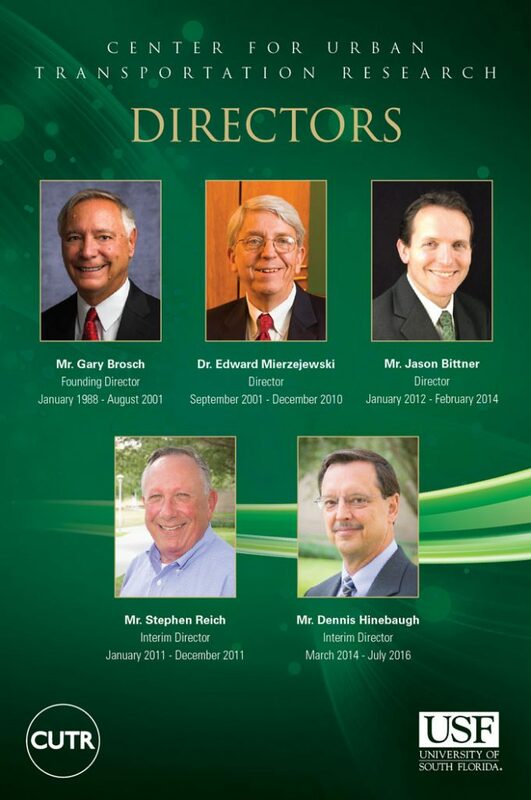 The nomination of the remaining members of the board shall be made to the President of the University of South Florida by the College of Engineering at the University of South Florida, and the appointment of these members must be reviewed and approved by the Florida Transportation Commission and confirmed by the Board of Governors of the State University System of Florida. (4) The center shall develop a budget pursuant to chapter 216. This budget shall be submitted to the Governor along with the budget of the Board of Governors. 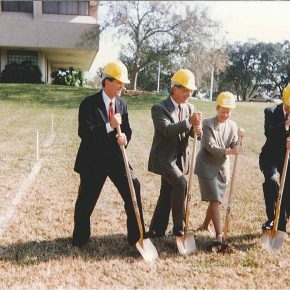 The USF College of Engineering recruited founding director Mr. Gary Brosch from Rice University, to develop and lead the center. Under his direction and with the hiring of an experienced and enthusiastic research staff of Ed Mierzejewski from Post, Buckley, Schuh & Jernigan (now Atkins), Steve Polzin from Dallas Area Rapid Transit, and others, CUTR flourished, attracting research grants from a variety of state and local sponsors. Originally housed in the basement of a USF Engineering building, CUTR’s continued success prompted the hiring of additional new research faculty. 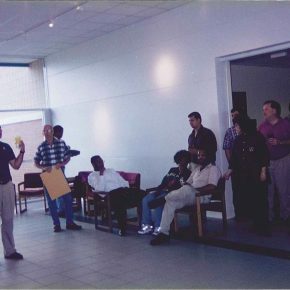 In 1991, its staff of 35 moved to new quarters near the Engineering buildings, and in 1995, with the support of funds from USF and the Florida Legislature, a new 26,000 sq ft CUTR building was completed, which CUTR occupies to this day, including staff and student offices, conference and training rooms, and labs. In 1991, CUTR was designated by Congress as a University Transportation Center (UTC), which established the National Center for Transit Research (NCTR) (formerly the National Urban Transit Institute), a designation that has been renewed through 2018. Working in collaboration with other universities, CUTR conducts numerous transportation research, education and technology transfer projects for the benefit of Florida and U.S. transit agencies and organizations, publishes the open access Journal of Public Transportation, and provides training and education experiences to numerous Graduate Research Assistants. 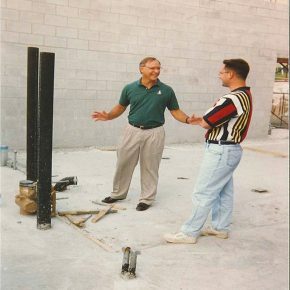 Mr. Brosch retired in 2001, and a search resulted in the appointment of Dr. Edward Mierzejewski as the second director. His retirement in 2010 was followed by the appointment of Mr. Jason Bittner as the third director. In 2016, after an extensive national search, Dr. Robert L. Bertini joined USF as CUTR’s fourth director and Professor of Civil and Environmental Engineering, and serves in that position today. From its early beginnings with a small staff to its current group of nearly 120 full-time research faculty, staff, and student research assistants and an Advisory Board of national and local transportation leaders to guide the organization, CUTR has enjoyed nearly 30 years of continued success in conducting relevant and timely research and analysis for sponsors at the local, state, and federal levels, covering all modes of transportation in both urban and rural contexts. 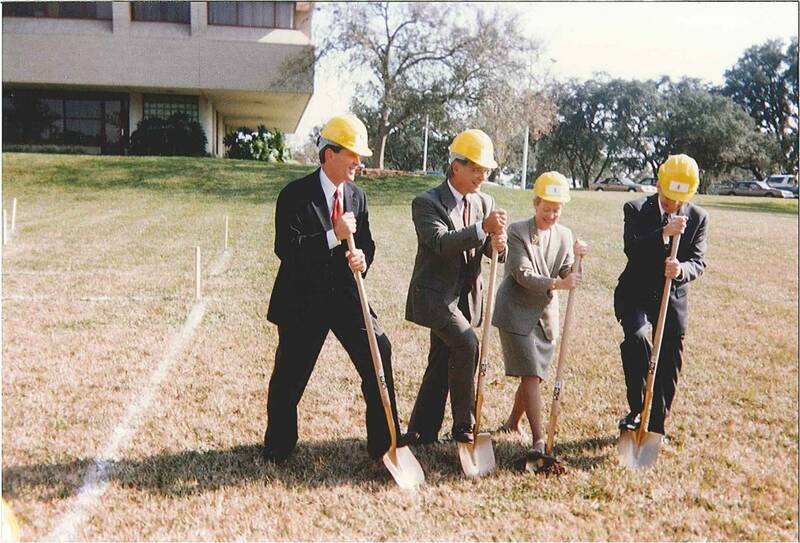 We have archived many historic CUTR Photos on our Flickr page.